Fear is sweeping our nation, and yet there is very little we can do about the problems that looms so much on the landscape of our culture. Fear is a crippling poisonous emotion that drains our energy, hinders our faith, and saps our hope. The Bible holds the answer to fear. It is faith, and paradoxically, fear in the Lord God Almighty and His Son, Jesus Christ. When we fear the Lord, we lose our other fears. 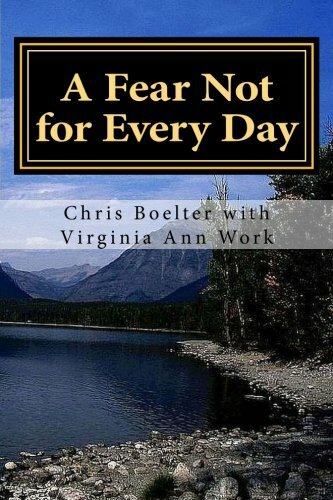 This book traces the phrase “the fear of the Lord” and the word “fear” through the Bible from Genesis to Revelation, speaking to the subject of the right kind of fear and the wrong kind of fear in 365 devotionals, one for every day of the year. Drawn from stories of Chris’ background and life, these devotionals will stir your heart, give you hope, and lead you closer to the Lord in your walk with Him.